We all know what it’s like being in school when the sun is shining outside and all you can think about is being out there! Or when you’re trying to get your homework done and all you can think about is who’s posting what on Snapchat or Instagram? Or have you ever found yourself managing to get a study block done and then taking a well-deserved 5-minute break to take a peek at social media, only to emerge from your phone a half an hour later and way behind on your study schedule? Well, the following free apps are for you! In fact, they’re for anyone who wants to use their time on their computer or smartphone more productively, whether you’re a student or not. Stay Focused is a free google chrome extension that helps you to stay focused on your work by stopping you from looking at time-wasting websites (e.g. Instagram, Snapchat, Facebook, Twitter). You set a certain amount of time in the day that you’re allowed to look at those distracting websites and then once your allotted time for the day has been used up, it blocks you out of them. End of distractions! 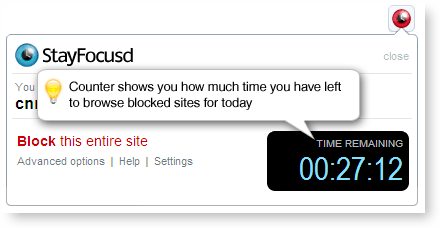 You can also choose to have a complete block on the websites that are your major culprits for time-wasting. This one works in a similar way to Stay Focused but it’s for the Mozilla Firefox browser instead of Chrome. 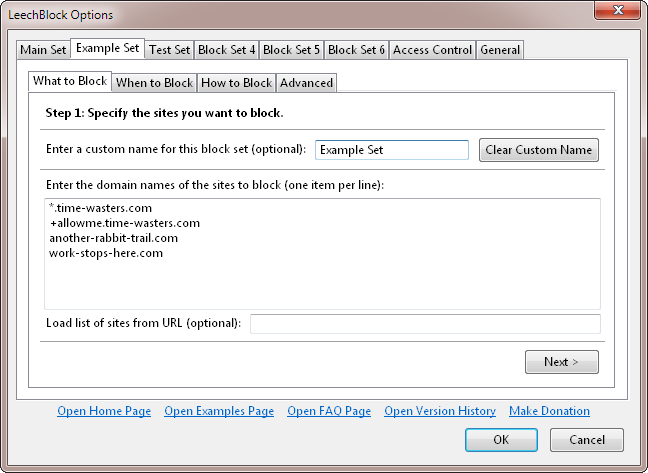 You can specify up to six sets of sites to block, with different times and days for each set (e.g. you could have Twitter blocked from 9am to 5pm and Facebook blocked for all but 10 minutes in every hour). This is one of many apps that use the timing principle behind the Pomodoro Technique (i.e. you work for 25 minutes, then take a 5 minute break, then after four of these sessions you can take a longer break of 15-30mins). This Google Chrome extension helps you to concentrate on your work by blocking a list of websites for the amount of time you’ve set and once your working period is over, it’ll unblock those sites to give you a break from work before you hit those books again! 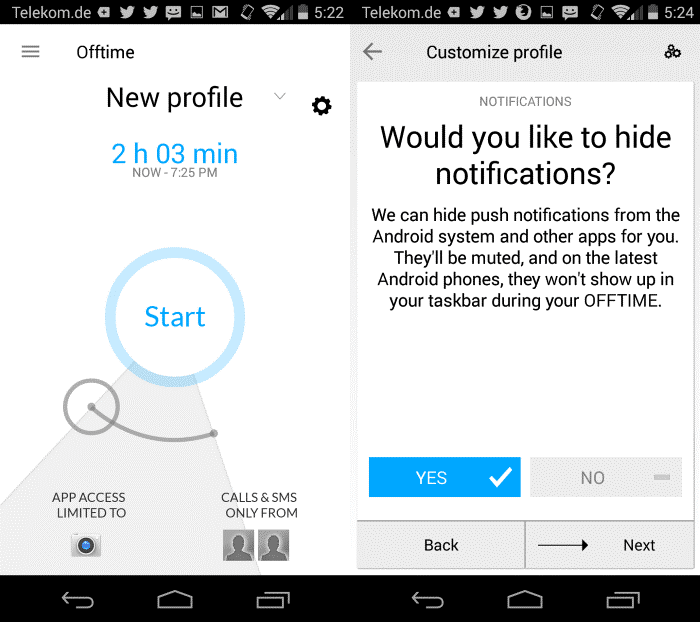 Offtime is an app for iOS and Android smartphones that not only lets you block calls, texts and notifications when you’re trying to work, but it can also track your phone and app usage so you can identify what distracts you most. You can set different profiles, like School, Family and Me Time and when you’re finished your work, it gives you an activity log with a list of everything that happened while you were working so you don’t have to worry about missing out on anything. So, with these apps you’ll be able to maximise your study time and even better, you’ll be able to look at all your favourite websites and apps guilt-free on your breaks!